We are very excited that our three-way collaboration with Grenson Shoes and Persephone Books is launching tomorrow. 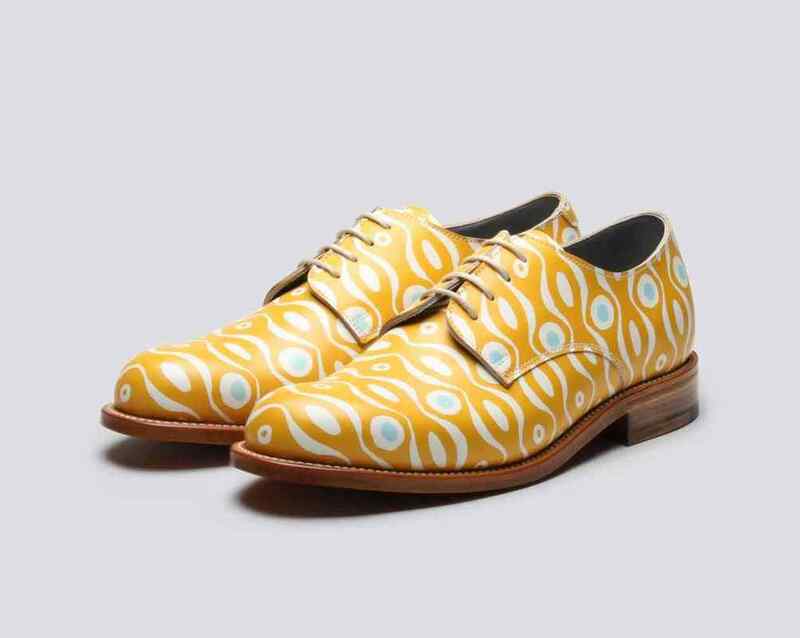 Grenson are creators of hand-made leather shoes of a quality that, should you take the plunge and invest in a pair (they are reassuringly expensive) will last all your life. Our old friends Persephone Books, publishers of the elegant grey volumes with patterned endpapers, are their close neighbours in Lamb’s Conduit Street in London. 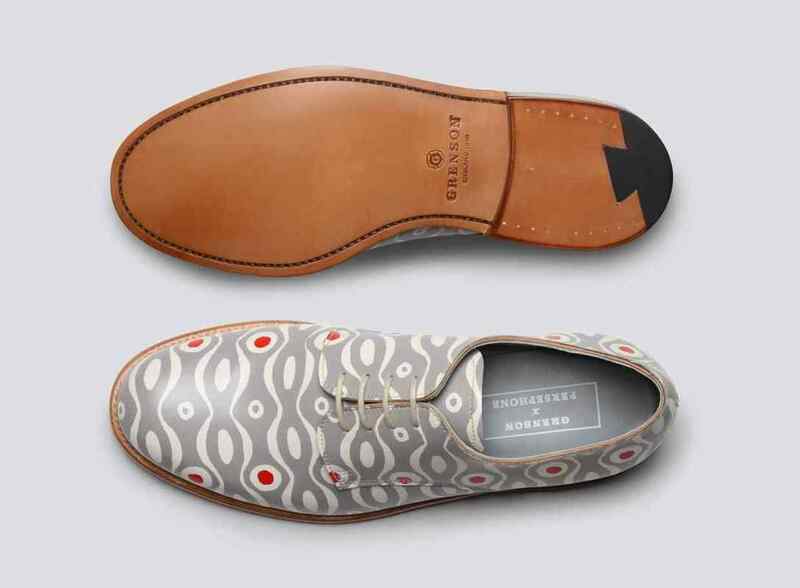 To celebrate this, Grenson proposed a collaboration: to create a limited edition shoe printed with the design Cambridge Imprint created for Persephone—particularly appropriate because of its strong Bloomsbury Group feel. After an immense labour, the shoes are ready. The level of craftsmanship and attention to detail is extraordinary. 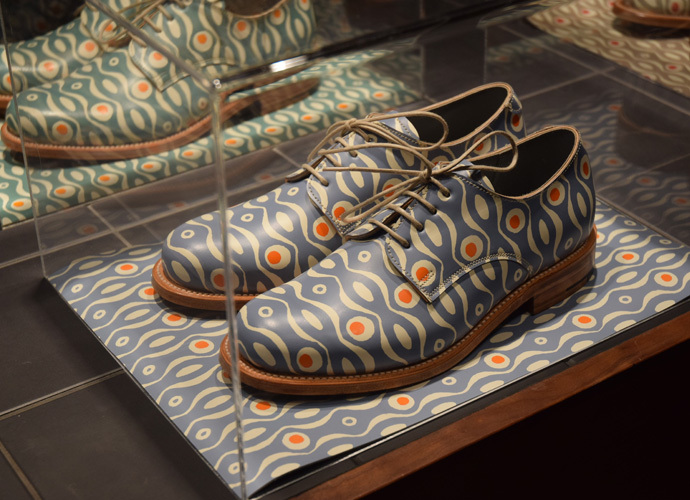 We find colour fidelity a challenge printing on the relatively straightforward medium of paper: Grenson have achieved perfect matching of all five of the original Persephone colour ways on leather. Add to this the difficulty of lining the pattern up across all the seams – a job that must be done differently for every size of shoe. We are so delighted with the result, which perfectly reflects the determination of all three collaborators that genius does indeed lie in the infinite capacity for taking pains.